Lewis Hamilton needs more support from his management team, according to the McLaren star's father Anthony. The 2008 world champion clashed with Ferrari's Felipe Massa during a frustrating weekend in Singapore in the latest of a number of high-profile incidents this season. Hamilton had been managed by his father since childhood before taking on Simon Fuller's XIX Entertainment this year. 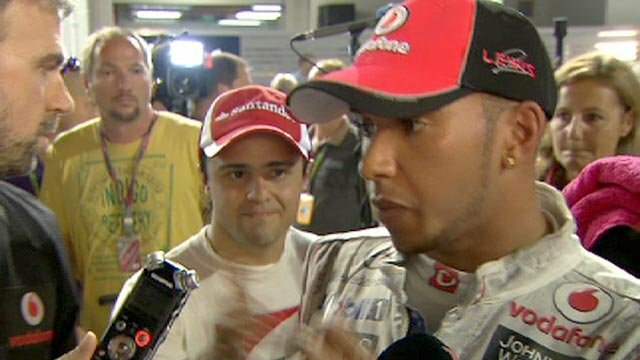 "His management need to do more," Hamilton's father told BBC Sport. 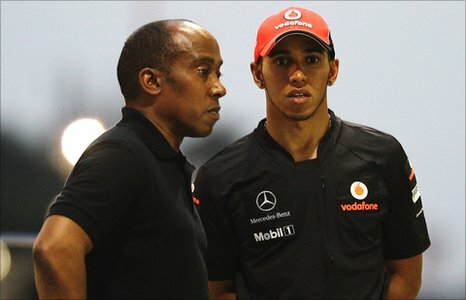 Asked whether Hamilton needed another manager, his father replied: "What I will say is look up the paddock; every driver that's got a driver manager, the manager is here [in Singapore] and in the driver's life." BBC Sport understands that Hamilton makes race-by-race decisions on whether he needs his management team to attend the grands prix. There was no member of Hamilton's management team in Singapore but Hamilton is understood to be happy with the relationship he has built with the company, which also looks after footballer David Beckham and tennis player Andy Murray. Hamilton's father was instrumental in guiding Hamilton into Formula 1 but the two split in March after a rocky period. The two are now on good terms but Hamilton announced in March that he would join Fuller's stable of clients. When asked whether the McLaren team needed to offer more support to their de facto number one driver, team principal Martin Whitmarsh told BBC Sport: "Lewis is having plenty of love from the team. I've known him since he was 11 and there's affection between us and many other members of the team. "Undeniably this has not been a good year for Lewis Hamilton. He'll regroup as there are five more races and he'll try to win them and try to win the championship next year." Hamilton clashed with Massa in Sunday's Singapore Grand Prix as he tried a move around the outside of Turn Seven on lap 10. "It was a genuine mistake," said Hamilton's father. 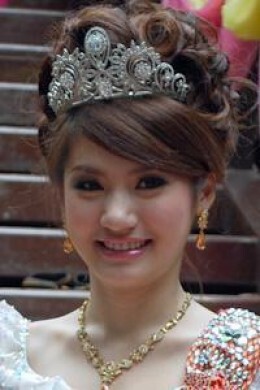 "I don't think there was any premeditation or any other issue with it. "He was pushing hard, trying to catch up to where he was. I think this one just caught him out. "I think it's unfortunate that he got a drive-through for it, which is typical - he would get a drive-through wouldn't he? "If you look at the replay, he locked up a brake as he turns in and just catches Massa's car. "He didn't turn the steering wheel [and think] I'm going to hit your back wheel and give you a puncture. That wasn't what he did. "I just think a little bit of common sense needs to prevail."